In the early part of the 1900s, the United Kingdom of Great Britain and Northern Ireland, claimed an abundance of excellent fighters: Ted “Kid” Lewis, Bob Fitzsimmons, Freddy Welsh, Jim Driscoll and Jimmy Wilde, to name but a few. In this article – 100 years since these men fought – we rank the best boxers to have emerged from these tiny shores, between, 2000-2016. Just 16 full years have passed this century so far, but they’ve been stacked with some fantastic pugilists. Was the highest possible ranked opponent in their division beaten? Number of former, current or future world title holders (WBO, WBA, IBF, WBC) defeated? “Regular” WBA champions have not been included. How emphatic were the victories? Losses. What calibre of opponent inflicted the loss? Did the defeat occur when the boxer was in their prime? Only fights from the year 2000 onwards are relevant to this top 10. Between 2000 and 2008, Bradford’s Junior Witter lost just twice – competitive points losses to the light welterweight division’s elite: Zab Judah and Timothy Bradley. During this timeframe Witter outpointed Kotelnik for the European title, Corley for the WBC title and knocked out former WBA titlist, Vivian Harris, in the 7th round. Junior’s switch-hitting style pitted against Manchester’s “Hitman” would have created an enthralling match-up, but boxing politics prevented it. The powerfully built Glaswegian won the WBO featherweight title from Chacon in 2002. A year later, he stopped Manuel Medina in 11 rounds, avenging the points loss in their previous fight. It is a pity – due to personal problems, and prison sentences – he missed out on unification fights and a potential clash with Juan Manuel Marquez. Only four British men this century have defeated more world title holders than Harrison. Belfast’s “Jackal” had a highly successful run at super bantamweight, culminating in his WBA/IBF unification fight, split decision victory over Scott Quigg, in February this year. It would have been intriguing watching Frampton test his skills against the sublimely talented Cuban, Guillermo Rigondeaux – the lineal champion and man who is generally regarded as the 122lbs king – but Carl instead chose to vacate his titles, and challenge Leo Santa Cruz, winning the WBA title at featherweight. Frampton has now won world titles at two weight classes, but – unlike the seven men ranked above him on this list – he is still yet to face the highest rated fighter in his weight division. On November 28, 2015, Tyson Fury became only the third Briton in the 124-year history of gloved heavyweight boxing to win the lineal title. The other two – Bob Fitzsimmons and Lennox Lewis – did not have to dethrone a long reigning champion, who had been as resoundingly dominant as Wladimir Klitschko. Ending “Dr Steel Hammer’s” 11-year unbeaten streak warrants enormous credit. The fact Fury achieved this feat comfortably, and did so in Dusseldorf, Germany, is incredible. Khan’s terrific battle with Marcos Maidana illustrates what makes him such an exciting fighter. Throughout much of the bout Amir demonstrated rapid, darting ring movement and blurring hand speed – even dropping the tough Argentinian with a left hand to the liver in the opening round. His defensive vulnerabilities were evident too, particularly in the 10th, when Maidana cracked his chin with a hard right hand, then proceeded to brutally club him around the ring for the remainder of the round. If the fight had been stopped, there would have been few complaints, but Khan’s unflagging bravery enabled him to finish the fight and emerge victorious on the scorecards. Amir Khan has defeated more world titlists than any other fighter on this list. However, at no point did he achieve total supremacy at light welterweight, and he never avenged his crushing losses to Colombian, Bredis Prescott and Philadelphia’s Danny “Swift” Garcia. The knockout loss at the hands of middleweight, Canelo Alvarez was to be expected. Khan’s best years are now behind him. Lennox Lewis – the last undisputed world heavyweight champion – began the year 2000 by landing a barbaric right uppercut, to crush unbeaten contender, Michael Grant, in the 2nd round of their contest in Madison Square Garden. Highly ranked New Zealander, David Tua, was then easily outpointed, before Hasim Rahman knocked Lewis out in Carnival City, South Africa. Lewis finished his career in style, blasting out Rahman in the 4th round of their rematch, flattening a 35 year old Mike Tyson in Memphis, and stopping the immensely strong, Vitali Klitschko, after a bloody battle, in Los Angeles in 2003, in what was his final fight. Had this list incorporated the whole of Lennox’s career, there would be a valid argument for placing him at the top. The “Hayemaker” had a brief but dominant campaign at cruiserweight, dethroning Jean Marc Mormeck in France, and snapping Enzo Maccarinelli’s 25 fight unbeaten run to unify the WBC, WBA and WBO titles. He had success at heavyweight, winning the WBA belt from the “Russian Giant” – Nikokay Valuev, but heavyweight champion Wladimir Klitschko masterfully rebutted Haye’s challenge in Germany in 2011, winning a wide decision over 12 rounds. Now back from retirement, fights with Deontay Wilder and Tyson Fury are within Haye’s grasp – victories over both, would elevate his place on the list. Winning the vacant WBC super middleweight title against Jean Pascal in 2008, and spectacularly stopping Jermain Taylor in his first defence, gave Carl the necessary credentials to book a spot in Showtime’s Super 6 tournament. The show set a gruelling schedule. In his second fight – In one of the division’s most ferocious fights – Froch was narrowly outpointed by Mikkel Kessler in Herning, Denmark, in 2010, suffering his first defeat as a professional. Two victories followed, then “The Cobra” met the division’s new king – Andre Ward, in the final on 17th December, 2012. Yet again fighting on foreign soil – on this occasion, in Atlantic City, USA – Froch gave the talented Californian one of the more difficult fights of his career, but ultimately lost on points. Carl bounced back from the defeats, dishing out a punishing 5 round beating to Lucian Bute, and levelled the score with Kessler, outpointing him in London’s O2 Arena, in May, 2013. Britain’s beloved “Hitman” had the inconceivable misfortune of squaring off against the two finest boxers of the last 15 years, at a point when they were at their zenith. However, long before facing “Money” and “Pacman”, Ricky had already etched his name in British boxing history. June 4th, 2005 – Hatton challenged Kostya Tzsyu. The Australia based Russian had not lost for 8 years and was considered, pound for pound, one of the top 5 fighters in the world. The “Hitman” did not wilt before his adoring British fans at the raucous MEN Arena in Manchester. He absorbed Kostya’s best power shots and refused to back-pedal, eventually forcing the champion into submission before the start of the 12th round. Three of the five opponents Hatton successfully defended his 140 pound title against were also stopped: Carlos Maussa, Paulie Malignaggi, and Jose Luis Castillo. Only Juan Urango and Juan Lazcano lasted the distance. 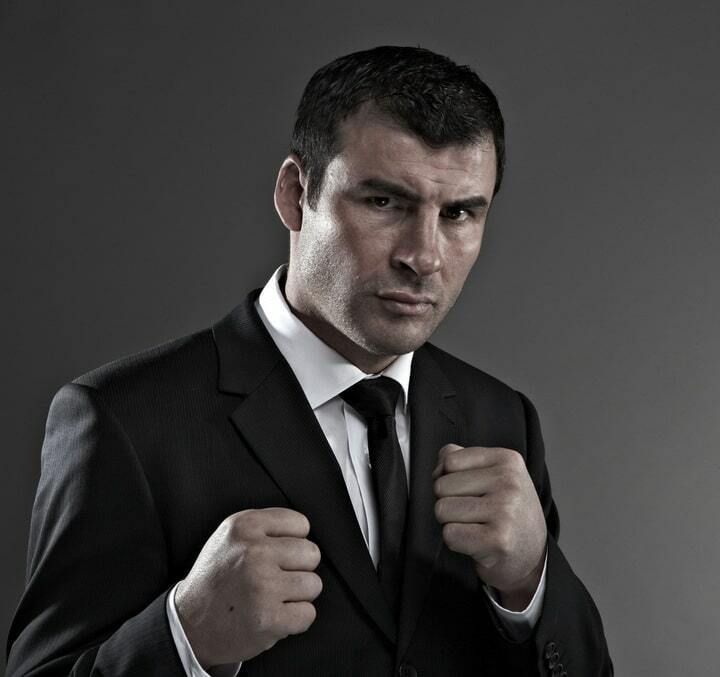 In just 19 fights this century – one of which was a sensational 12 round thrashing of IBF 168 pound champion, Jeff Lacy – Calzaghe defeated 8 former, current or future word titlists. This impressive tally excludes his 1997 victory over Chris Eubank for the WBO title, and his tight, split decision win over former WBC holder, Robin Reid, in 1999. Frustratingly, a bout with Sven Ottke never materialized, even though both men sat atop the super middleweight rankings between 1999 and 2003. There are those that try and diminish the magnitude of Calzaghe’s unification match with Lacy, using hindsight to claim “Left Hook” was never a big favourite in the first place. Luckily, in the age of the internet, modern boxing history is readily available for all to see. A quick Google search of “Calzaghe Lacy predictions” will refresh the memories of those with amnesia, but allow me to summarise the results for you: the majority of the experts, In America and the rest of the world, predicted Lacy would win by knockout. The Welshman’s triumphs over a prime Mikkel Kessler in 2007, and Bernard Hopkins in Las Vegas in 2008, mean that he defeated his highest rated rivals in two weight divisions – super middleweight and light heavyweight, respectively. No other Briton has equalled this feat in recent ring history. Fast hands, an unparalleled work rate for a super middleweight, and a granite chin, all combined to make Joe an awkward proposition, but it was his ability to adapt his style to the opponent in front of him – in the heat of battle – which elevated him from his contemporaries. Whether faced with Bika’s roughhouse tactics, Mitchell’s sledge hammer of a right hand, or Hopkins’ seasoned guile, “The Pride of Wales” always produced the antidote.